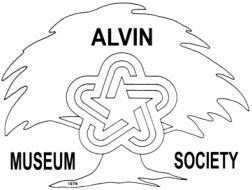 Get your tickets now for the Alvin Museum Society's presentation of "Encore: Another Evening with the Stars" on Saturday, November 11, 2006. Festivities begin at 6:30 p.m. with a social time, silent auction, dinner and show. Reserved seating only. NO tickets will be sold at the door. Contact Bill Nelson, 281-388-0616 or Alvin-Manvel Chamber of Commerce, 281-331-3944 for tickets. You don't want to miss this fun-filled evening of entertainment! Local "stars" will lip-sync hit music from the past while portraying the artist who made the song famous at the Alvin Museum Society's fundraiser, "Encore: Another Evening with the Stars." Freddie Fender, Janis Joplin and, of course, Elvis will be among those scheduled to appear. Make plans now to attend this entertaining event on Saturday, November 11, at St. John the Baptist Catholic Church Parish Hall. Julie Patterson, event chairman, announces the Alvin Museum Society's presentation of "Encore: Another Evening with the Stars" on November 11, 2006, at St. John the Baptist Catholic Church Parish Hall in Alvin, Texas. Festivities begin at 6:30 p.m. with a social hour and silent auction followed by dinner and entertainment. Individual tickets are $50 each and Reserved Tables for 8 are $500. Tickets are available from Edward Jones/Bill Nelson, 281-388-0616 or Alvin-Manvel Chamber of Commerce, 281-331-3944. You don't want to miss this fun-filled evening. Get your tickets NOW! Advance ticket purchase required. Proceeds benefit the Alvin Historical Museum Exhibit Fund.